In 2016, Mora of Sweden AB celebrates 125 anniversary! The long tradition in the production of premium knives from the stamping of the steel to the packaging of the complete knife leads to the natural change of name, which became Morakniv AB. A number of events and activities, dedicated to the 125 anniversary, have been launched. This month Morakniv presented the three latest knives - three Outdoor News Garberg, Eldris & Kansbol. All are named after pastures, so called 'fäbodar', near the factory in Mora, Sweden to show a respect for people have been working and living there for centuries. We from Kammarton Bulgaria welcome and congratulate our partners and friends from Morakniv. The new collection of knives will be produced and delivered at the end of August, 2016 in the offices and shops Kammarton Bulgaria, the only official representative for Bulgaria. More information - from all our product specialists. which of the knives you want to put to the test, how and where you're going to use it – Add the hashtags ‪#‎Eldris‬,‪#‎Garberg‬ or ‪#‎Kansbol‬. 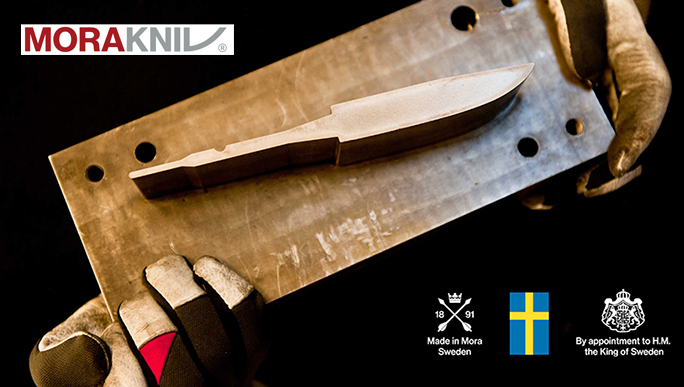 Morakniv will send a knife to those with the best and most inspiring motivations. Morakniv is looking forward to following your adventures!